Color tends to be brownish-reddish with a white underbelly and feet. Tail is short, and distinctly bi-colored: dark on top and light on bottom. Round and slender, they range from 2 to 4 inches long in body length with a pointed nose, large ears and large, black, beady eyes. Omnivorous, but prefers seeds, nuts, small fruits and berries, and insects, particularly centipedes. 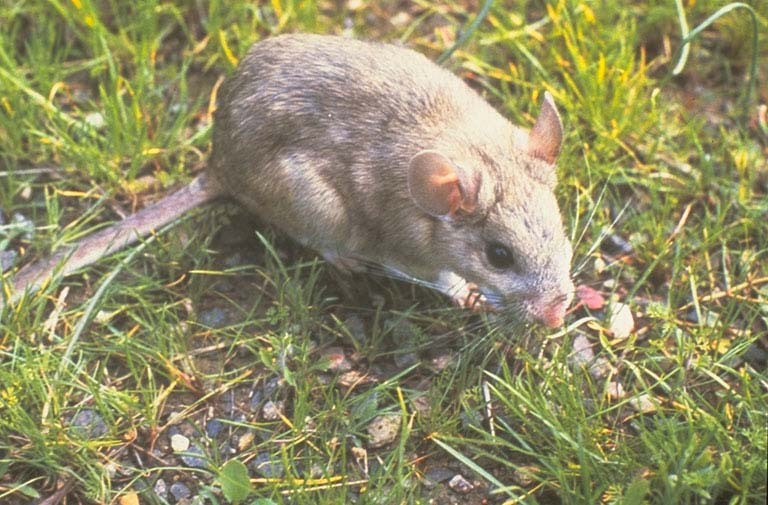 Unlike the house mouse, the deer mouse is not found in cities but is associated more with rural areas and buildings located in or near wooded areas. It does not commonly invade homes, but in rare instances one or more deer mice may invade a particular building. The deer mouse nests within hollow logs, tree holes, under piles of stones or logs. Most commonly associated with prairies or other rural, bushy or wooded areas, it avoids humans if indoors, preferring attics, basements or crawl spaces. Color ranges from light brown to light gray. Small and slender, house mice are three to four inches long, with large ears, small eyes and pointed nose. Droppings can be identified by their rod-like shape. They establish a "territory" near food sources that are generally 10 to 30 feet from nest. They are omnivorous, but tend to prefer cereal grains. House mice are inquisitive, but very wary and they are excellent climbers. A single house mouse feeds 15 to 20 times per day. And can squeeze through a hole 1/4-inch wide. They are the carrier of many serious diseases. Color can vary from gray to brown to black. It is heavy-bodied, six to eight inches long, with small eyes and ears and blunt nose. Its tail is shorter than its head and body and its fur is shaggy. Droppings can be identified by their capsule-like shape. Norway rats nest in underground burrows, from which they enter buildings in search of food. They tend to remain in hiding during the day. This species is omnivorous, but prefers meats and cannot survive long without water. Most rats are excellent climbers and are capable of gaining entry through holes around soffit vents and around cables entering the building, through holes in gable vent screens, and through turbine and box vents on roofs. Color varies from cinnamon to brown, gray, yellowish gray, or creamy buff, depending on the species and specimen. The underside is clearly more lightly colored than the upper part of the rat. Their bodies measure about eight inches, with the tail slightly shorter than the head and body combined. Pack rats get their name from their habit of taking small, bright or shiny objects and hoarding them in their nests. They will take beer can tabs, bottle caps, bits of foil, coins, and jewelry just to name a few items. These rats are known to be relatively vocal and often wreak havoc in their efforts to steal their “treasures.” Often, sticks or nuts the rat was carrying at the time are left at the site where the shiny object was acquired, thus the additional nickname of "trade" rat. In the wild, these rats build complex nests of found items including twigs, bits of cactus, and other available debris. Indoors, pack rats often nest in anything from attics to car engines to storage sheds. They are mainly nocturnal creatures but may be active during the day. Color ranges from gray to black and its length seven to 10 inches long, with a long tail, large ears and eyes, and a pointed nose. The body is smaller and sleeker than Norway rat and its fur is smooth. Roof rats are omnivorous, but show a preference for grains, fruits, nuts and vegetables. These rodents have been known to also consume tree bark and meat. Roof rats are also food hoarders, hiding supplies of food too large to consume in one feeding. The roof rat nests inside and under buildings, or in piles of rubbish or wood. 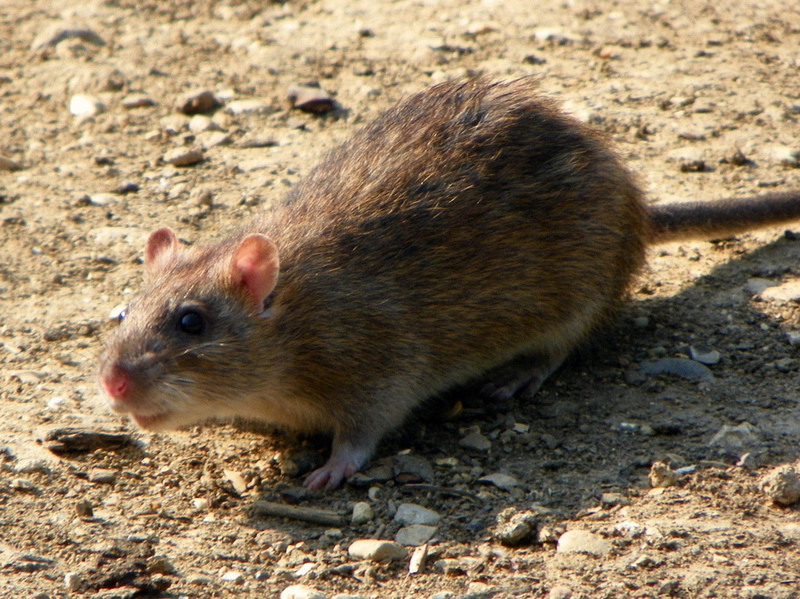 As their name suggests, roof rats may be found in elevated areas such as trees, rafters, attics and roofs. Roof rats can also nest on the ground if necessary. Although its external appearance is generally that of a long-nosed mouse, a shrew is not a rodent; instead, it is an insectivore. Most are a grayish-brown coloration with a paler colored belly. Shrews are short-legged and have a long pointed nose with long whiskers. They have sharp, spike-like teeth, not the familiar gnawing front incisor teeth of rodents. They have musk glands that give off a strong odor, especially when handled. Their eyes are tiny and vision is poor, but they have acute senses of smell and hearing. Shrews forage for seeds, insects, nuts, worms and a variety of other foods in leaf litter and dense vegetation. They are solitary except when breeding, mainly terrestrial, and live under the grass and leaf litter. They are active throughout the year and burrow through the snow during the winter. 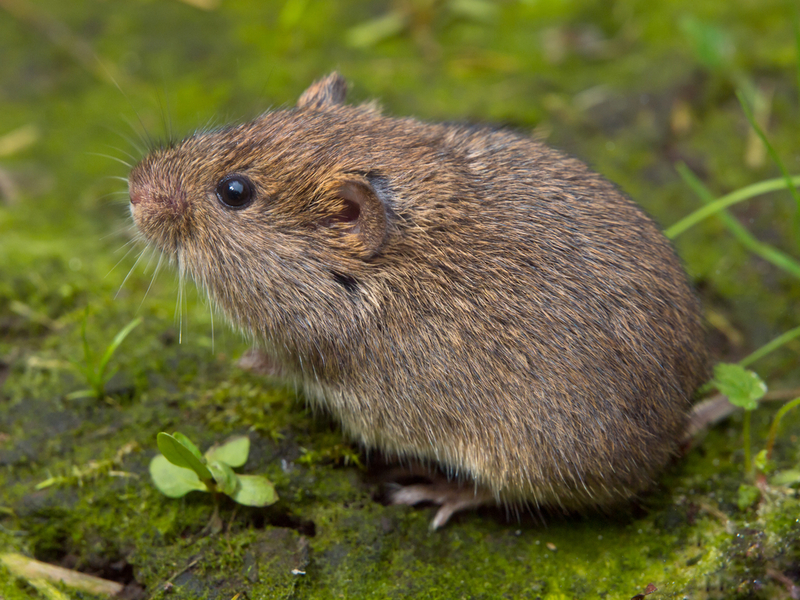 Voles are larger than the house mouse and its tail is much shorter in relation to the body. Color ranges from blackish-brown to grayish-brown depending on the species. Because they are poor climbers, voles are almost always associated with the lower levels of buildings. Outdoors, voles establish a well-defined system of runways that usually tunnel beneath vegetation. Voles also are known to girdle the trunks of fruit trees which often results in the death of the tree. They primarily live outdoors, preferring dense grassy areas such as meadows or fields. For that reason, homes and buildings these rodents might infest tend to be near such fields. They may also be found invading stables and barns.